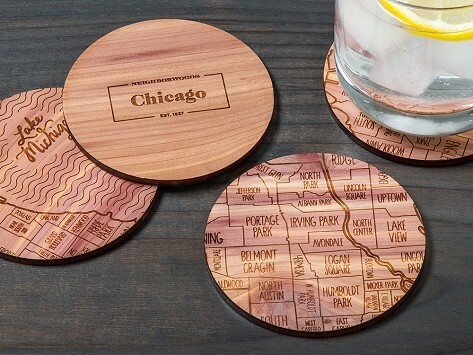 Showcase your favorite city while entertaining guests over cocktails. Each set consists of 4 wooden coasters and makes a great gift for friends, family, bosses, and neighbors. Dimensions: 3.5" diameter x 0.125"
Really warmly received gift - unique and artistic, with a fun utility. My son moved from Boston for his job and misses Boston so much. I always look for some "home" to send him. 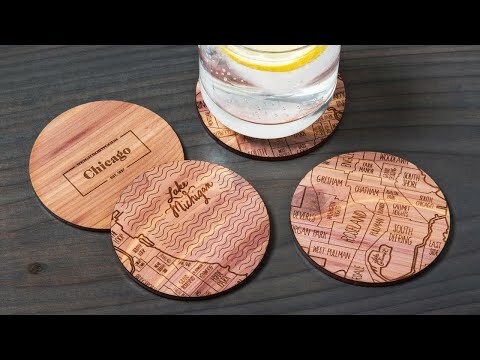 These coasters were perfect in design & execution. Well made, solid and good looking. Gave these to a person who used to live in London and he loved them.